Water-wise plants are hot this season. 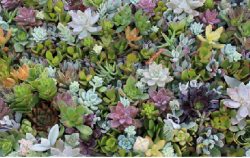 The Succulent Source in Valley Center is offering 50 colorful succulents for $40 through its website at http://thesucculentsource.com/product/50-succulent-cuttings/ . The cuttings are ideal for terrariums, floral-style arrangements and wired bouquets. You can also get 30 succulents in 2 inch pots for $80, ready to plant, or choose any five for $13. These are so popular, brides are even using them now for water-wise wedding bouquets! If you don't want to drive to Valley Center, you can order online for home delivery at http://thesucculentsource.com/. At Fusion Glass Co. in La Mesa, 8872 La Mesa Blvd., you can find many dazzling and affordable gift items to fit every budget. There are fusion glass pendant necklaces for $19 to $49 and many other jewelry items for women. As for that hard-to-buy-for man on your list, how about fused glass cufflinks ($39) or other accessories such as tie clips. For the guy who has everything, you can even get a fusion glass money clip for $30! Visit http://www.fusionglassco.com for more gift ideas, or stop by their shop. For the wine lover on your list, consider a bottle of a special vintage from a local winery. Better yet, give a wine club membership! One of the best values we found is the silver wine club membership package at Hacienda de Las Rosas Winery in Ramona. There is no signup fee, though you agree to buy two bottles every other month. Membership includes free wine tastings, two free tickets to a private grape stomp party with live music and refreshments, complimentary port and dessert Valentine Day special, fun wine pickup parties (or they can ship), plus discounts if you buy additional wine. This winery has some wonderfully rich red wines, as well as specialties such as peach chardonnay and apple gringo wines. 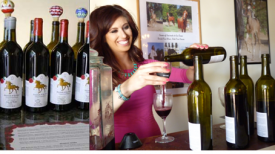 You can shop online at http://www.sdwinery.com or savor a day of winetasting at their winery in Ramona, where you can also admire the Peruvian Paso horses that they raise. Sunbelt Publications is a local publisher in El Cajon with a treasure-trove of books including many about our region. 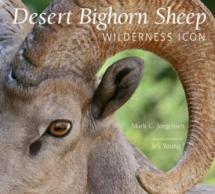 Also check out their book of the month club, which this month features Desert Bighorn Sheep by former Anza-Borrego Desert State Park superintendent Mark C. Jorgensen and spectacular photography by Jeff young. Check out their many delightful offerings at http://www.sunbeltbook.com. Where the West is Dressed" is the slogan for Wild Bill's Western Emporium at 1235 Broadway in El Cajon. Since 1980, this has been a family owned business that carries one of the largest selections of western clothing in Southern California including an array of elaborate,high-quality Western-style boots in a variety of leathers plus Western shirts, jeans, cowboy hats, belt buckles, cowgal jewelry and some super-cute children's cowboy and cowgirl boots, too. Yee-ha! 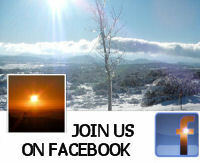 You can shop in the store or online at www.shopwildbills.com. A Simpler Time Store, 1802 Alta Place in El Cajon (http://www.asimplertimestore.com/) sells luxurious Alpaca gloves ($18), hats (felt or fluffy fur, all $65) made of thick, beautiful and warm woold shorn from the family’s own herd of alpacas. For the child on your list, check the delightful alpaca figures ($39) and even alpaca teddy bears! What could be sweeter than lavender honey and lavender strawberry spread? Unless of course it’s lavender caramel sauce…just a few of the delicacies available through Keys Creek Lavender Farm in Valley Center. The farm is closed to the public this time of year, but you can order their products online at http://www.kclfarm.com/ . Besides the gourmet goodies, you can also find lavender candles, body care products, perfumes, essential oils and culinary herbs.